Original acrylic painting. Stretched gallery wrapped canvas with the sides painted mars black. Wired and ready to hang. Blue mountains with waterfalls in the mist. 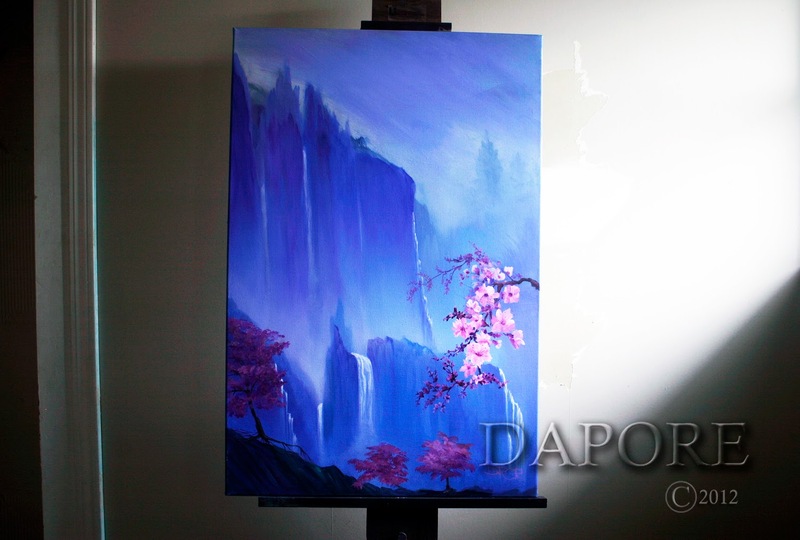 Original acrylic on canvas painting theme cherry tree blossoms with mountains and waterfalls. 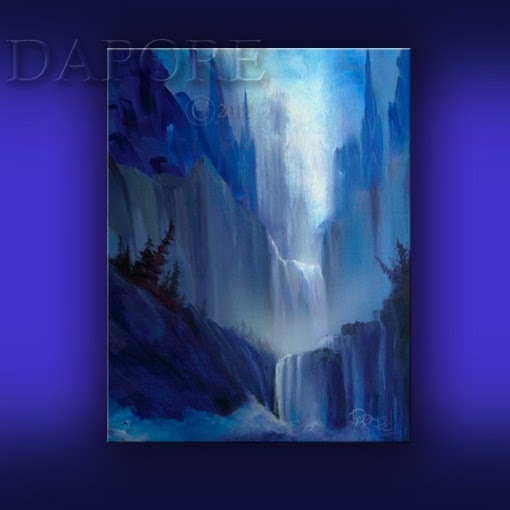 Original acrylic painting on hand stretched canvas. 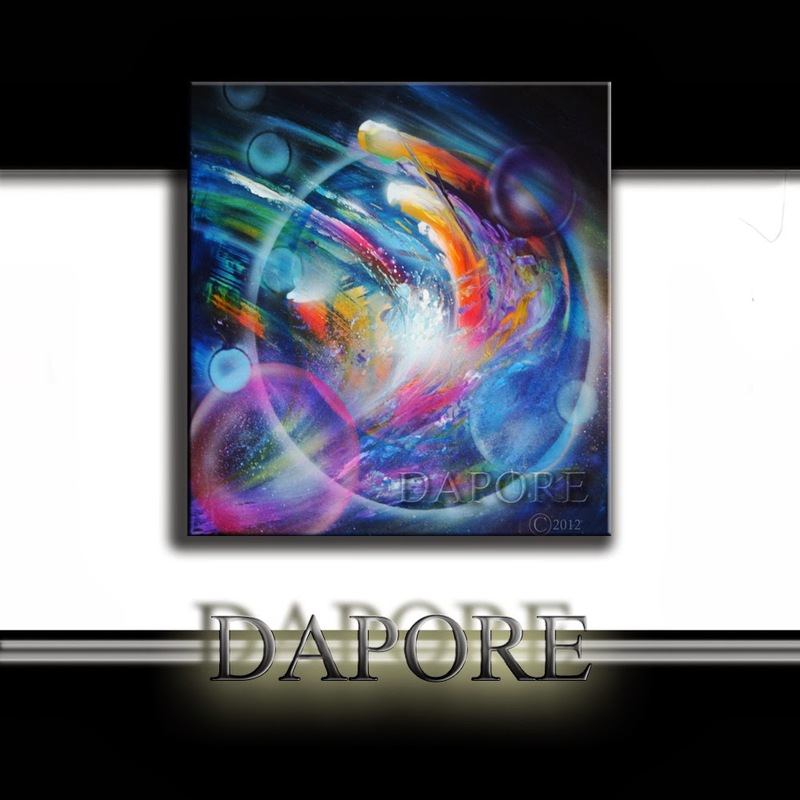 Colorful abstract art. The painting is 24 width by 24 height. The canvas is back stapled with the sides painted mars black, wired and ready to hang. Experimental unique approach. 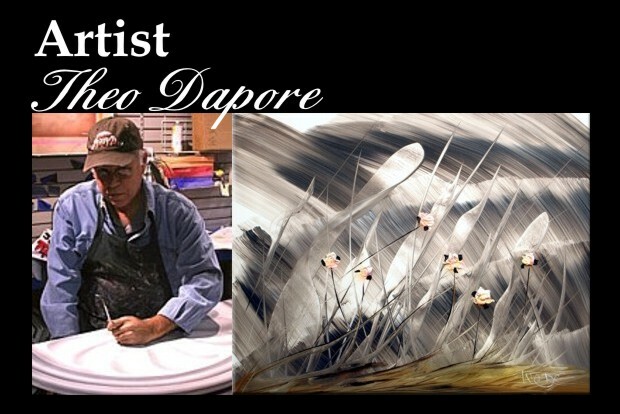 Signed and dated Theo Dapore.